On behalf of APALA, I hope everyone has been having a great summer! As mentioned in the last newsletter, we’ve added two more staff members and three interns, who have been working hard towards a variety of community and labor events in Las Vegas including the recent AAPI Presidential Election Forum and our organizing efforts heading into November’s election. In June, we celebrated Pride and Immigrant Heritage Month – a time to share the stories that uplift the different aspects of our identities and a time to reflect on the narratives of those who continue to struggle within a system that criminalizes our communities. We also reflected on how the recent Supreme Court decisions on DACA+ and DAPA programs, affirmative action in college admissions, and women’s reproductive health access affected the AAPI community. In July, we witnessed another series of Black deaths at the hands of police officers and have doubled down our efforts for #BlackLivesMatter and the Movement for Black Lives – a fight that we continue to engage in as we work towards racial justice and liberation for all communities of color. 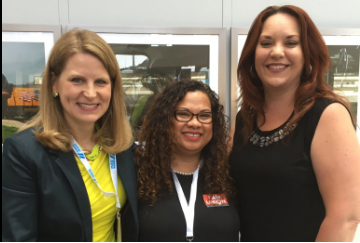 In August, we participated in two historic convenings. The first was in Seattle at the AAPIs Beyond Bars and Beyond Borders, where we joined AAPI activists to talk about ways to disrupt the school-to-prison-to-deportation pipeline. 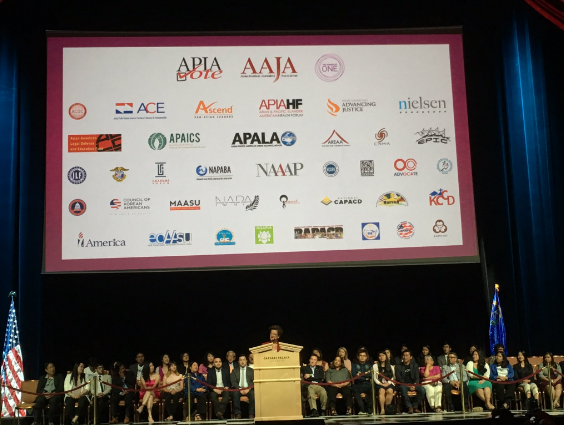 We also participated in a historic convening of over 3,000 AAPIs from across the country to hear from the presidential campaigns and their surrogates at the 2016 Presidential Election Forum in Las Vegas, NV. 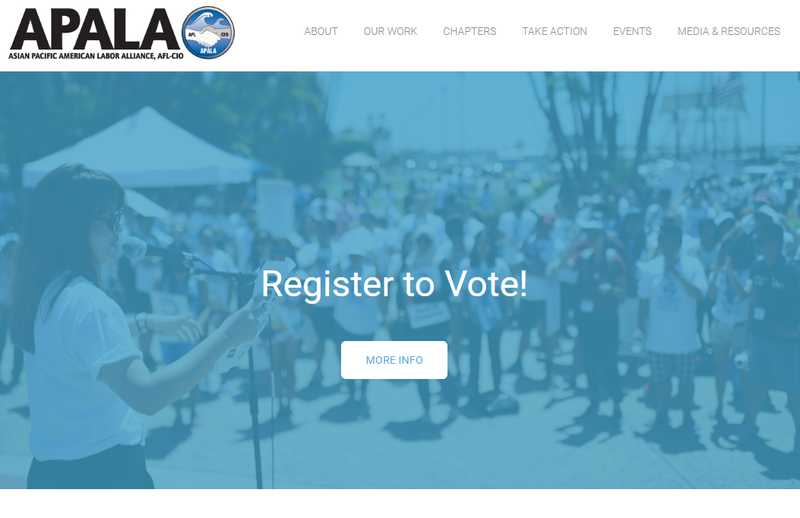 As we head towards the general election this November, we hope that you stay engaged with APALA and the political process, and encourage you, your friends, and family to register to vote! 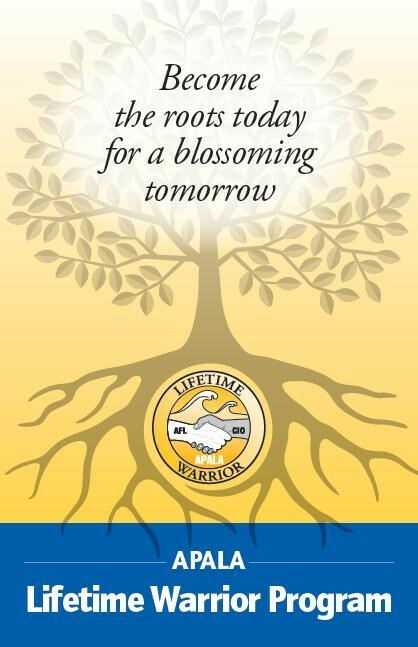 Become a member today! APALA National President Johanna Hester, Executive Director Gregory A. Cendana, and Communications and Development Coordinator Marian Manapsal all attended the United State of Women, where inspiring women and girls spoke about the importance of gender equality in all industries and walks of life. Speakers included First Lady Michelle Obama, President Barack Obama, Vice President Joe Biden, Attorney General Loretta Lynch, Oprah Winfrey, and Kerry Washington. Following the U.S. Supreme Court’s 4-4 on the U.S. v. Texas case affecting DAPA/DACA+ programs, APALA joined solidarity efforts and uplifted the Mijente #Not1More campaign, calling for a moratorium on further deportations. In addition, APALA co-hosted a national call along with eight other AAPI organizations on the ramifications of this decision on the larger AAPI community. The call was joined by over 100 participants nationwide and included guest speakers, Rep. Judy Chu, Chair of the Congressional Asian Pacific American Caucus; Jose Antonio Vargas, founder of Define American; and The National Immigration Law Center. 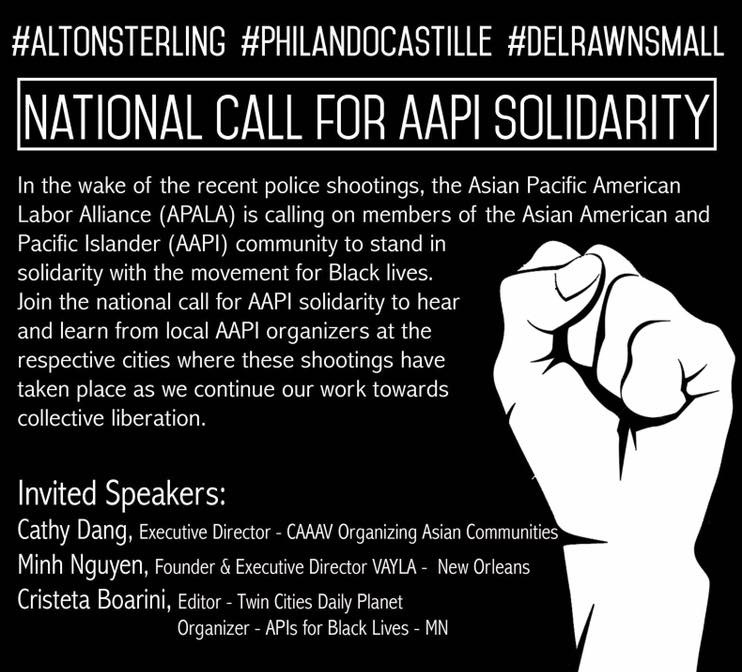 In the wake of the recent police shootings of Alton Sterling, Philando Castile, and Delrawn Small, we’re calling on members of the AAPI community to stand in solidarity with the Movement for Black Lives. On July 11, we convened over 300 participants nationwide on a national call to hear updates from organizers on the ground in New York, Louisiana, and Minnesota and led a twitter conversation using hashtag #AAPICall4Solidarity that trended locally in DC. We also recently launched a Joint Statement for AAPI Solidarity asking AAPI organizations and allied groups to show their support for Black lives. Please see here view the list of supporting organizations. The statement is also available in Arabic, Bengali, Chinese, Hindi, Korean, Filipino, and Vietnamese. APALA National President and APALA San Diego Chapter leader Johanna Hester was elected to the CA Labor Federation Executive Council. She becomes the only Asian American woman to serve on this governing body. See the full press release here. She was also re-elected as an International Vice President for the American Federation of State, County and Municipal Employees (AFSCME). 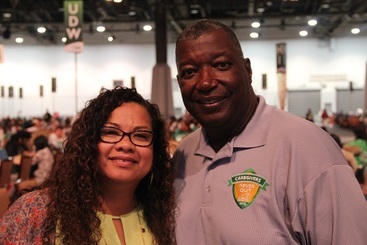 Hester remains the only Asian American and Pacific Islander on the AFSCME executive board and also serves as the highest ranking AAPI in AFSCME. See the full press release here. Executive Director Gregory Cendana along with 1st Vice President Monica Thammarath and DC chapter leader Alvina Yeh participated in the Democratic National Convention in Philadelphia in July. They talked about the importance of the engaging the AAPI community in this election and joined a crowd in formally nominating Hillary Clinton, the first woman to be ever nominated as a major party presidential nominee. The Congressional Asian Pacific American Caucus (CAPAC) also had a historic presence at the DNC. For full remarks, please watch the video here. APALA/IAPALA also had the opportunity to attend the RNC in Cleveland in July to make sure AAPI voices are heard on both sides of the aisle. APALA also applauded the progressive stances the DNC platform adopted. Please see the full press release here. ​Notice a new look on our website? You're right! We’ve also recently launched the new www.apalanet.org! Here, we’ll keep you posted on upcoming events, chapter updates, actions you can take, APALA’s stance on recent events, and more. If you haven’t already, please take a look around at the new and improved website! The #NotYourModelMinority Pledge was created to end the ways in which the model minority myth positions Asian Americans and Pacific Islanders (AAPI) as a racial wedge for social justice through civic/political engagement, advocacy, organizing, and action. By taking the #NotYourModelMinority pledge, you are committing yourselves to a future where Black lives, people of color, LGBTQ individuals, differently-abled people, Indigenous communities, people of various spiritual beliefs, working-class and immigrant communities, and women are freed from state sponsored and institutionalized forms of discrimination, racism, and violence. Take the #NotYourModelMinority Pledge NOW! 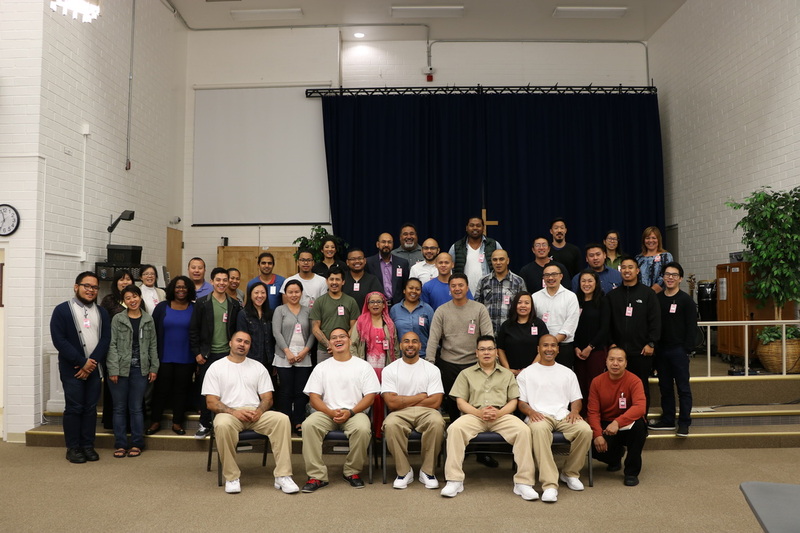 ​On August 4th and 5th, over 40 AAPI activists from around the country along with prisoners at the Monroe Correctional Complex joined together to address mass incarceration and deportation in the AAPI community. The convening concluded with a community rally entitled "Stand Together 4 Love" at the Tacoma Northwest Detention Center. Eddy Zheng, co-chair of the Asian Prisoner Support Committee and a Soros Justice Fellow, said, "The AAPIs Beyond Bars & Beyond Borders national convening offers a historic opportunity for AAPI individuals and organizations to strengthen our tools and maximize our power to end mass incarceration and deportation." To see the full release, please click here. 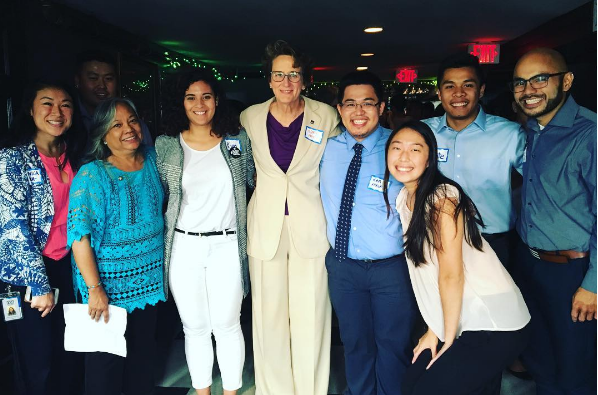 In August, APALA members joined together to participate in a event-packed convening of the AAPI community! 8/11: Community and Labor Reception - For Nevada's Future: Every Vote Counts! Our reception was a huge success and featured Former Attorney General and Senate Candidate Catherine Cortez Masto; Congresswoman Dina Titus; Artie Blanco, the State Director for Nevada, For Our Future; Yvanna Cancela, the political director of Culinary Workers Union 226 (UNITE-HERE); Gloria Caoile, the vice president of civic and political engagement for APALA Nevada; and Luisa Blue, APALA board member and the highest ranking AAPI elected in SEIU. See the full release here. 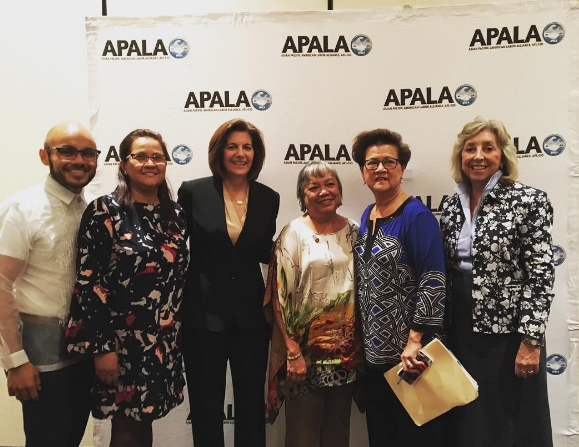 8/12: AAPI Presidential Election Forum: APALA joined as a partnering organization to the 2016 Presidential Election Forum, hosted by APIAVote and the Asian American Journalists Association. APALA had a strong presence at the event: Nevada member Nathan led the Pledge of Allegiance; Nevada Chapter Vice President for Civic and Political Engagement Gloria Caoile had the special honor of introducing President Bill Clinton, who spoke on behalf of the Hillary Clinton campaign; and members and staff sat behind the speakers on stage. There were over 3000 in attendance to hear the President Bill Clinton, Trump campaign surrogate and Utah Attorney General Sean Reyes, Green Party candidate Dr. Jill Stein, and Libertarian candidate Governor Gary Johnson. 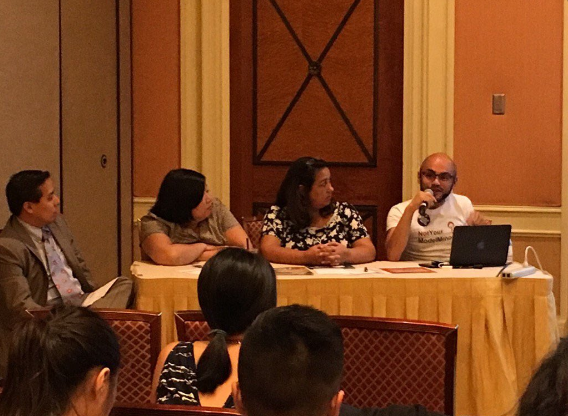 8/13: APIAVoteTraining: Executive Director Gregory A. Cendana spoke on a panel on "Police Priorities and What's at Stake in the AAPI Community" during APIAVote's Saturday training focusing on training organizers for voter engagement and mobilization. Greg highlighted the importance of criminal justice reform and discussed the need to talk about mass criminalization and immigration to disrupt the school-to-prison-to-deportation pipeline. 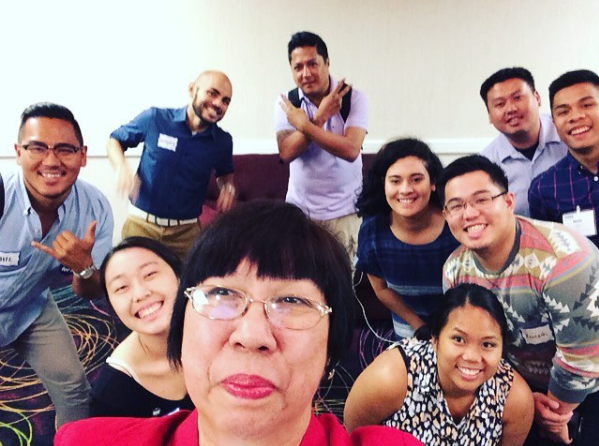 8/14: National Spokesperson Training: APALA also hosted a National Spokesperson Training discussing on how to message and talk about Hillary Clinton heading towards the November election. Special shout-outs to facilitator Margie Gonzales, the chair of the AAPI Caucus in Nevada, and Jason Tengco, the National AAPI Outreach Director of Hillary for America, who joined participants and led the conversation! 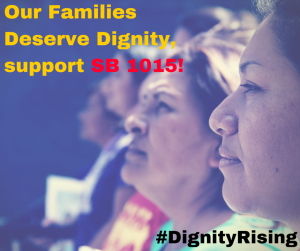 Just last week, the SB1015 2016 Domestic Worker Bill of Rights passed! The passage of SB1015 preserves dignified labor standards for California's domestic workers by preserving current overtime law. SB1015 continues the success of AB241 in 2013, which granted overtime protections to privately employed domestic workers. 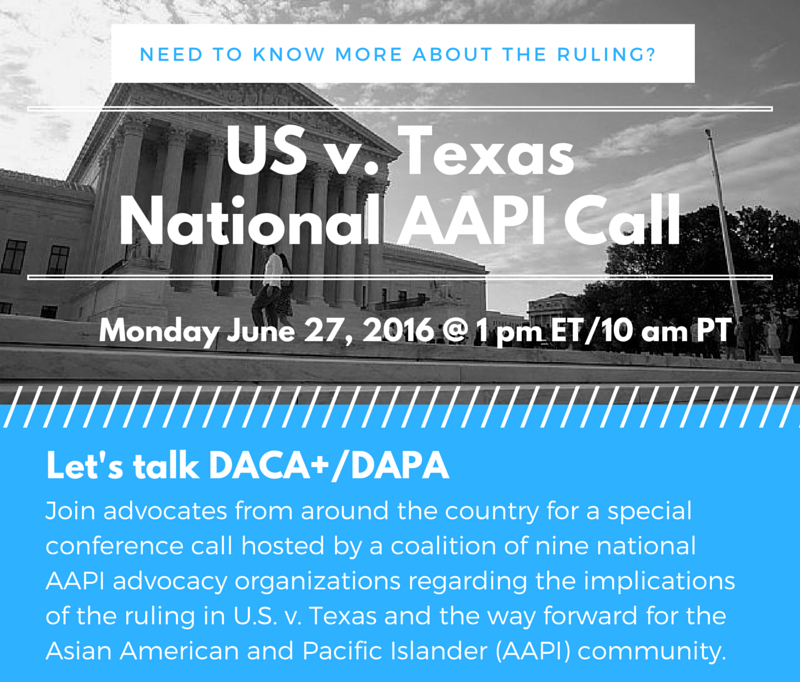 APALA is thrilled to have supported this bill on behalf of our AAPI members! 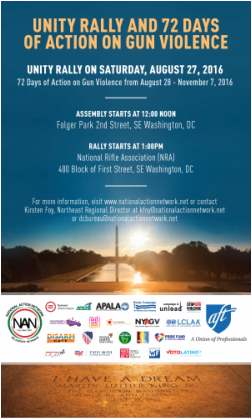 July 28, 2016: Going Beyond "Anti-Trump"
Join the Unity Rally on Saturday, August 27, 2016 to kick off 72 Days of Action on Gun Violence from August 28 - November 7, 2016! Fore more information, please visit www.nationalactionnetwork.net or contact Kirsten Foy, Northeast Regional Director at kfoy@nationalactionnetwork.net ordcbureau@nationalactionnetwork.net. 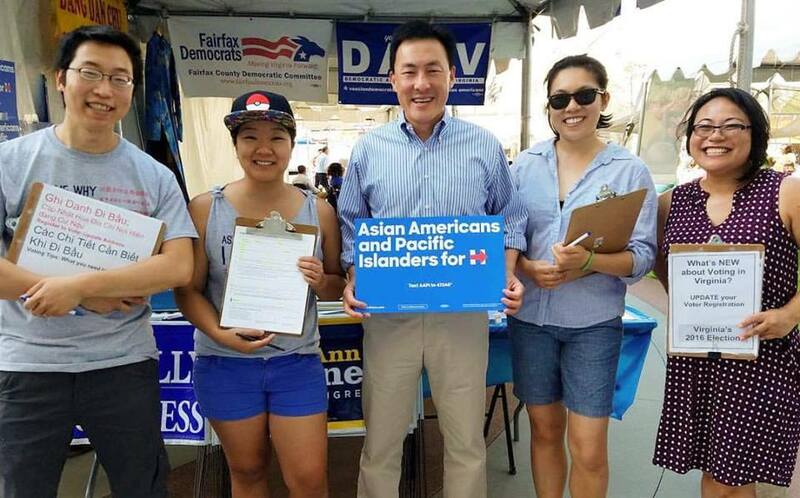 ​The DC chapter led two voter registration drives: one in June in Northern Virginia and the second in August at VietFest. DC member Alvina Yeh trained volunteers at both trainings and spearheaded our Every Vote Counts efforts in the DC/VA metro area! ​In August, members from the Nevada Chapter joined the Community & Labor Reception, For Nevada's Future: Every Vote Counts and the AAPI Presidential Election Forum in Las Vegas. NV member Nathan led the 3,000+ AAPI convening in the Pledge of Allegiance, and Vice President for Civic and Political Engagement, Gloria Caoile, had the special honor to introduce the Hillary Clinton campaign surrogate, President Bill Clinton. 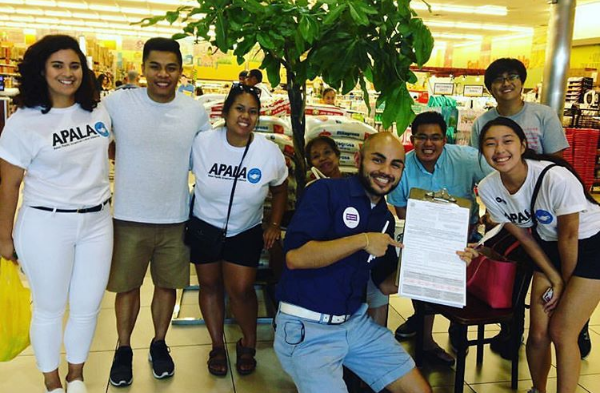 Following the forum, APALA Nevada hosted a voter registration drive at Seafood City as part of APALA's Every Vote Counts program! ​Joined by dozens of AAPI local, national, and community based organizations, APALA Seattle took part in the AAPI Beyond Bars, Beyond Borders Convening in Seattle, WA on August 3-5. Participants drew upon the experiences of incarceration and potential deportation from a panel of currently incarcerated AAPI prisoners at the Monroe Correctional Complex. Community strategy sessions also took place at the Washington State Labor Council and at Highline College. To end the convening, APALA marched in conjunction with leaders of the 1Love Movement & Southeast Asian Freedom Network (SEAFN) to demand #Not1More deportation and the #Right2Return of deported communities. The rally outside of the Northwest Detention Center signified the growing intersection of the criminal immigration system that continues to incarcerate, detain, deport, and separate many immigrant and refugee families. See the full press release here. 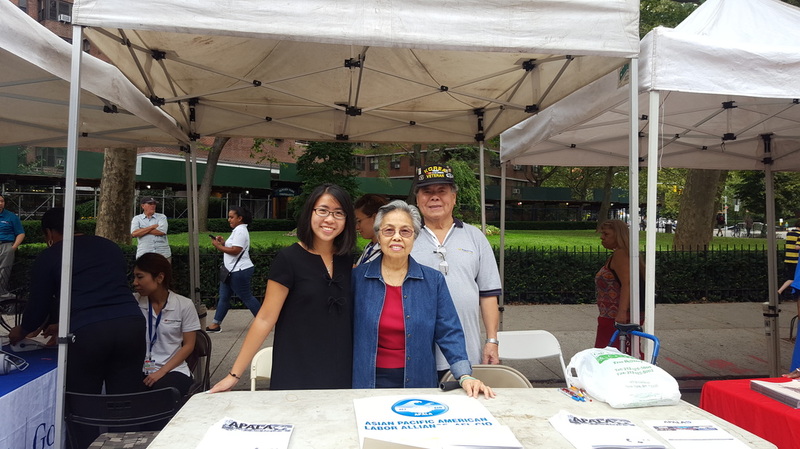 The APALA New York Chapter helped register voters from various precincts throughout NYC Chinatown, Flushing, and Queens at the Community Night Out event on August 2nd. Moreover, chapter leaders attended the New York City Asian American State Primary Candidates’ Forum to meet with candidates running for State Senate and State Assembly.